Mercy* has been married for almost nine years. She has an 8-year-old son who was literally conceived on her wedding night. However, she has struggled with conceiving another child ever since. She got married a virgin, has never had an infection, and doesn’t understand why she just cannot seem to have another baby. Uloma* got pregnant for a man she had been dating very briefly. She was still in University at the time, but her boyfriend, who was in his late 20s and ready to settle down, was very excited about the pregnancy, and immediately made her move in with him. The plan was to finalise marriage proceedings after the baby. On one too many occasions, she was at the receiving end of a few slaps and punches, but she chose to ignore them. When she had the baby, despite the fact they were not formally wed, her Mother defied all protocol and moved in with the couple for the required omugwo. Her baby wasn’t even 4 weeks old when her fiancé violently attacked herself and her Mother. They fled his house without even packing all their belongings. Fast-forward 7 years, she got married to a wonderful man and they proceeded to build a life together. They have been married for 6 years and have never conceived once. Angela* got pregnant for her long time boyfriend. Even though they both had good jobs, neither of them felt the timing was quite right, so they opted for a termination. The plan was to get married in the next year or two, and then they could try for babies properly. 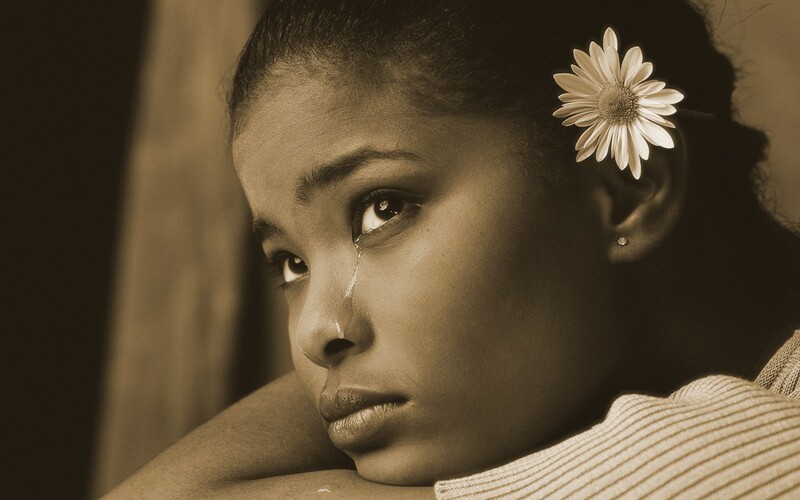 Within months of the abortion, her boyfriend cheated on her and the relationship was over. A few years later, she married her soul mate. They have been trying for a baby for almost 10 years. These women all have one thing in common. Secondary infertility! Secondary infertility is defined as the inability to conceive, or carry to term, a child, after having already done so in the past. Of the women I have had the opportunity to interact with, those who fall under this category are of an alarmingly growing number. And their frustration is understandable. It is one thing if you have never conceived before, and are tackling whatever issues are responsible for your infertility. But to have already conceived a child, usually without even having to try for long, and then to be suddenly hit with infertility has to be highly exasperating. So, what exactly causes secondary infertility? What causes a presumably fertile woman to struggle with conception the second (or third, or even fourth) time around? There are many factors that contribute to this, but one of the more common factors is tubal damage, usually arising from infections. Sometimes these infections could have been contracted from previous childbirth, STDs, or even terminations. Another common factor is adhesion / scar tissue formation, arising from abdominal surgery, the most common being caesarian sections, myomectomies, appendix removal, etc. PCOS is another common factor, which could have been dormant or mild earlier in life, but is aggravated with time, leading to later infertility. Lifestyle factors, like poor diet, smoking, excessing drinking, etc., could contribute to hormonal imbalance that will, in turn, impair ovulatory function. These lifestyles lapses also affect male fertility, sometimes leading to a drastic drop in sperm count, thus contributing to the coupleâs secondary infertility. So many factors could be blamed, and they can, in turn, be addressed and handled accordingly. But identifying the âcauseâ is one of the easier things to handle. With secondary infertility, there are other more delicate matters to address. Society is less supportive of couples facing secondary infertility. Once you have a child already, the emotional and psychological impact of secondary infertility is downplayed by practically everyoneâ¦sometimes even your doctor. Family members instead choose to nag and scold the couple for not giving their children any siblings. There is hardly any shoulder to cry on, as everyone around doesn’t understand why the couple is so distraught when, after all, they already have a child. Some might even go as far as criticizing them for being greedy and ungrateful. Sometimes, it could even be the spouse downplaying this infertility, and choosing not to work as a team to seek any medical intervention. All of these almost always lead to feelings of isolation, despair, inadequacy, regret and frustration, by one, or both parties. It takes a lot of hard work and dedication not to allow these feelings affect the marriage, or even the well being of the child they already have. For the 2nd class of secondary infertility I highlighted, it gets even more complex. It involves when one party has already had a child outside of that relationship, but is unable to conceive with their current spouse. Of the couples I know in this situation, blame, resentment, and suspicion always rear their ugly heads at some point. The party that has had the child previously, almost always throws this wonderful fact in the face of the seemingly infertile party. In every argument a friend of mine had with her ex-husband, he was always quick to remind her of the kids he had fathered from his previous relationships. He refused to follow her to see a fertility doctor, and basically left her to figure it out on her own. Their marriage broke down shortly after. On the flip side, I have a relative who had a son when she was a teenager. When her marriage had produced no child after many years, her husband would always accuse her of being selfish, because she had a child after all! No matter how hard she tried, her efforts were never good enough, and she was constantly accused of not working hard to seek a solution to their plight, since she already had a child. That marriage also broke down. This category is an extremely delicate one to handle, and couples in this situation need even more emotional and psychological support. However, the 3rd category is the least talked about, but possibly the most common, one. This is when one, or both parties, have had, or been involved with, (a) termination(s) in the past, but is/are now unable to conceive. For me, this is the most delicate category, as a result of the enormous guilt carried by the parties involved. Some of them believe the abortion(s) destroyed their bodies, some believe they are being punished by God. And the longer it takes for them to conceive, the heavier the guilt and self-reproach. It is almost always a lose-lose situation for couples in this situation, as hiding this information usually leads to more guilt, and disclosure could also come with a heavy price tag. Whatever category you might find yourself, the best thing to do is not to look back, but instead map out a way forward. You cannot go back in time to prevent the infection, or opt out of the surgical procedure, change your mind about the termination, or whatever it is you believe is responsible for your condition. What you can do is discuss with your doctor about how to move forward, and what options are open to you. If yours is a case of hormonal imbalance or diminished sperm count and/or quality, you can adopt some lifestyle changes to try to counter it, and seek medical intervention if this fails. It is important for you and your spouse to be there for each other, and accept that not everybody will understand your longing for a child, even if you do have one already. By being there for each other, it means not placing any lofty expectations on the other, and not dishing out blame. If you are working as a team, it shouldn’t matter who has which child where, or who did what when. You must always remember the cardinal rule that united you stand, and divided you fall. Have a wonderful week, folks! Good luck! This resonates, I’m suffering 2nd infertility after a complicated miscarriage. It’s quite tough because you keep hearing that “it is time to give him a sister or brother” like I’m truly delaying. However, whenever I feel low I remind myself to be thankful I have 1 that keeps me on my toes imagine those that are still waiting for that 1. That makes me grateful. Hi Nonyelum. I’m so sorry about the traumatic experience, and also losing your tube. Sometimes, but not all the time, the loss of a tube can lead to a longer time in conceiving. It, however, should not impair your ovulation unless your right ovary is your dominant one, and as such has no route for the eggs produced. How regular are your periods though? And are you lactating by any chance? These are also possible reasons why you are not ovulating. In a 1-tube situation, you might need to try clomid a few more times (but to a maximum of 5 or 6). If it still doesn’t work, then have your doctor run a comprehensive hormone profiling on you. Nonyelum, the Lord will answer you swiftly dear. One tube or not cannot delay His work. You could work closely with your doctor to decide the next course of treatment. Hi olajuwon :hugs:. First of all, having your husband’s sperm seep out is normal, and not something you should be worried about. As long as he ejaculated inside of you, there will be enough sperm inside your uterus to do the job. Secondly, I would like to ask about adhesions. Were they cleared at all? And were they on/around your tubes, or in your uterine cavity? If they haven’t been cleared, they could interfere with conception. Your doctor can clear them either laparoscopically or through a hysteroscopy. Clomid helps with ovulation problems, so if you are not ovulating well on your own, it will surely help. But if you are already ovulating fine, you might not notice any difference. Zevit is a good addition, as it helps your general reproductive system (for you and your partner). However, you need to ask your doctor about his treatment plan for those adhesions. hi everyone am also on the same page with you really giving me stress. Praying for you, Diana hun :hugs:. Have you had any official diagnosis? Hi Jennifer hun. So sorry about what you’ve gone through. The first thing I would have thought would have been a possible infection after the D&C, but since your HSG result came out fine, that’s thankfully not the case. About your husband’s count, sometimes age and lifestyle can affect sperm count in men, so even though it was good some years ago, it is possible to have suffered a decline now. Apart from his count, were you given any indication of the mobility and motility? In addition, I would advice going on a good fertility supplement, just to help your body be in optimal shape. Pregnacare Conception is good, but I would recommend Fertil Aid for you, as it is also very very effective. Your husband could also go on Wellman. This link with Conception Boosters might also help too (http://thefertilechickonline.com/conception-boosters/). I’m in this too. Lost my right tube exactly one year ago to etopic, conceived in January this year lost it in march. Since then I have been struggling to conceive again to no avail. I’m on fohow treatment now for blocked tubes (guifei bao) as I don’t wish to go through the pains of Hsg again. Fellow mamas this year we shall testify! We shall most surely testify, @jesusbaby :hugs:. Good luck with the tubal treatment hun! It will end in praise, by HIS grace! Are you on any prenatals? No nicole. Please can you recommend some? I had an ectopic pregnancy 2013 and since they I can’t be able to conceive again. and I went for HSG the result concluded that I had mild hydrosalpinx in my left tube and my right tube is damage. But I am taking fohow product would the product clear the hydrosalpinx. Hi chimumanamada. I’m so sorry about the ectopic pregnancy, and the loss of that tube. I’m also sorry about the hydrosalpinx diagnosis. I have heard a little about Fohow Products, but please be wary of anything that comes with false promises. I can’t say if it can clear the hydrosalpinx. It is a very difficult condition to clear, and could compromise future pregnancies. Have you discussed other options with your doctor? I fall into this category. I lost my 14months old son…I hv bee TTC since my Zion was 4months old. Now he is no more I am more desperate than ever. N to think I had more than my fair share of terminations…hmmm d quilt is crippling! I finally took in December and experienced another fetal death in early Feb..After carrying out all the tests in this world. I slipped into depression, became a shadow of myself as a result of the loss because God assured me that this one would stay. I cried?until i was reassured that I still had chances of conceiving again. I was told to be on low dose baby aspirin and ovaboost and wait until after two cycles. But with the way is doing me ?? dont think I can wait to start trying o! I also married two years now with 5 years boy from another man and have been trying to conceive but its not working for me. Please help me out? Hello Mercy, have you been to the doctor in the last two years? If you haven’t, you need to and see if you can go with your husband too.